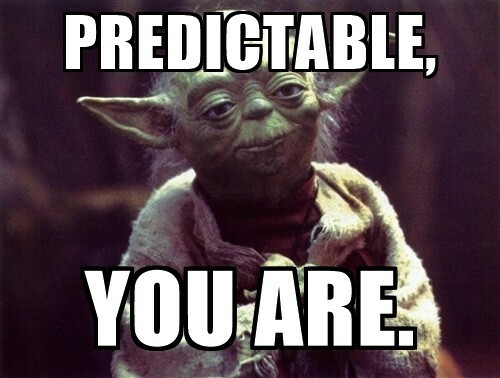 There is nothing wrong with being predictable, having a regular routine can lead to great success. The person who works hard on their business daily probably has a successful company and the person who flosses every day probably has pretty great teeth. Not everyone wants to live a wild and spontaneous life but it is a good idea to mix things up a bit and schedule trying new things into your calendar. 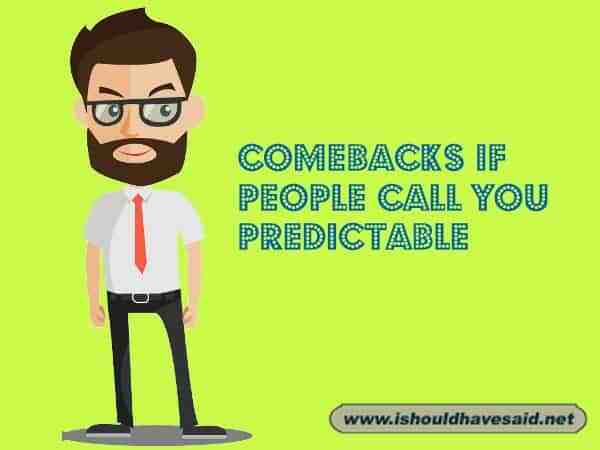 If you are being teased for being predictable, use one of our comebacks below. If you can think of an even better comeback, then let us know! I adore spontaneity, as long as it's planned properly! Whenever I start to feel spontaneous, my bank account reminds me to slow down! With enough preparation I can be very spontaneous.